Reserve your seat at http://conta.cc/2xeH1ui. The late Betty Taylor of Akron was truly an activist on behalf of local artists. Her passion for artists and their voice in the community inspired many to pursue their calling. 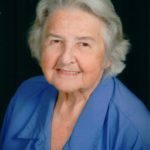 She was a founder of Artists of Rubber City, Summit Artspace and the Alliance for the Visual Arts, organizations that celebrate and support local artists. To honor Taylor’s legacy, Thanks, Betty! 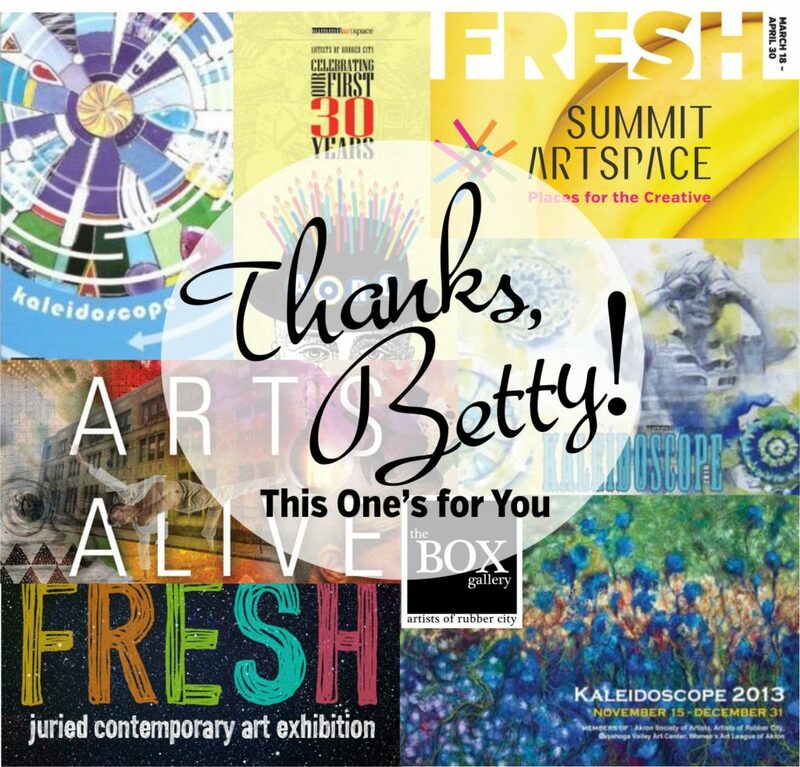 This One’s for You will open Oct. 20 at Summit Artspace on East Market, showcasing the work of area artists who knew Betty and were influenced by her zeal to sustain a flourishing art community in the Akron area. Taylor’s work will be exhibited in the side gallery. There will be a free opening reception with the artists from 5 – 8 p.m. Friday, Oct. 20, in the gallery located in the Summit Artspace building at 140 E. Market St., Akron. The exhibition runs until Nov. 18 and is free and public. 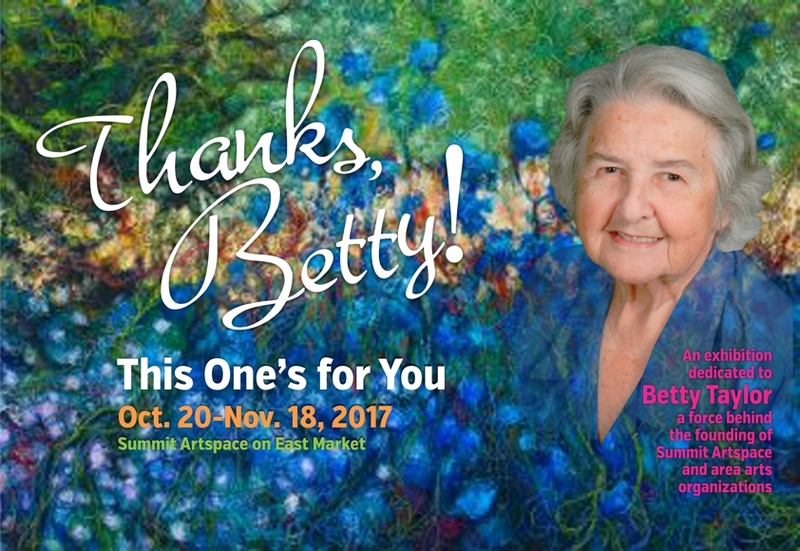 “Summit Artspace is proud to honor this champion for the arts and local artists with a tribute exhibition. Betty was a unique individual. She loved the arts and wanted to make sure there was a support network to nurture artists and also to give the community ways to appreciate the talent that resides here,” said Kamelia Fisher, executive director of Summit Artspace and a co-curator of the exhibit. Artist Joan Colbert, a long-time friend of Taylor, is also curating the show. “In 1978 there were few venues or opportunities for area artists to connect with the public. Betty felt that was something she and the newly-formed Artists of Rubber City could change. For nearly four decades that remained the mission. Throughout years of only incremental progress, Betty’s enthusiasm seldom waned. Her persistence and encouragement are evidenced in the existence of both Summit Artspace and The BOX Gallery,” Colbert explained. Taylor passed away at 93 years old in April of this year. Her connection, vision and persistence is linked to Summit Artspace’s history and success. Her dream for a gallery for all local artists was realized when she helped found Summit Artspace in 2002. She was also one of the original members of Artists of Rubber City, founded in 1978, and the Alliance for the Visual Arts, founded in 2001. Artists of Rubber City remains housed in Summit Artspace and operates The BOX Gallery and The Little BOX Gallery. 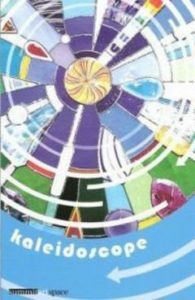 AVA hosts the highly- anticipated, annual Kaleidoscope show which draws work from AORC, Cuyahoga Valley Art Center and the historic Akron art organizations, the Women’s Art League of Akron and Akron Society of Artists. Taylor and her late husband, Howard, were honored with the “Arts Alive!” Volunteer Award by the Akron Area Arts Alliance (now Summit Artspace) in 2003. She had degrees in Biology and Sculpture and a certification in Interior Design, all from The University of Akron. Gallery hours are Thursdays and Fridays, noon to 7 p.m., and Saturdays, noon to 5 p.m. The show is free and open to the public. Open hours also include Artwalk on Saturday, Nov. 4. Artwalk, a continuation of the free, popular downtown event every first Saturday of the month, will feature art talks by resident studio artists, pop-up shops and music at Summit Artspace on East Market from 5 – 9 p.m. In addition, Summit Artspace on East Market will participate in the downtown event, 3rd THURSDAY, Nov. 16, 5 – 9 p.m.
For information about Summit Artspace, go to summitartspace.org or call 330-376-8480. Find Summit Artspace on Facebook, on Twitter @AkronAreaArts, Instagram and Snapchat.